Updated August 2015: Finally I came back here, after a year, now they have English menu. Their sundubu was just as good as last year. Their kimchi that was just right to my palate. 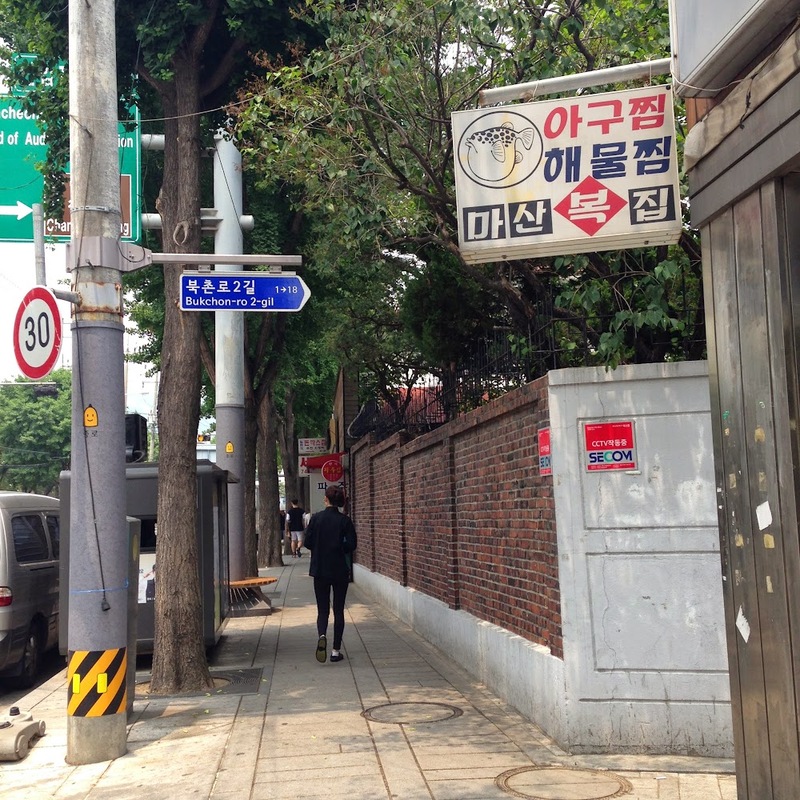 It feels great to come back there, next time in Seoul, I'll definitely pay a visit to Jaedong Sundubu. Once I read a Korean food blog, I was looking for a good Sundubu place. It was quite hard to find this place, as the blogger didn't write much about how to get there, so I decided to post directions below. 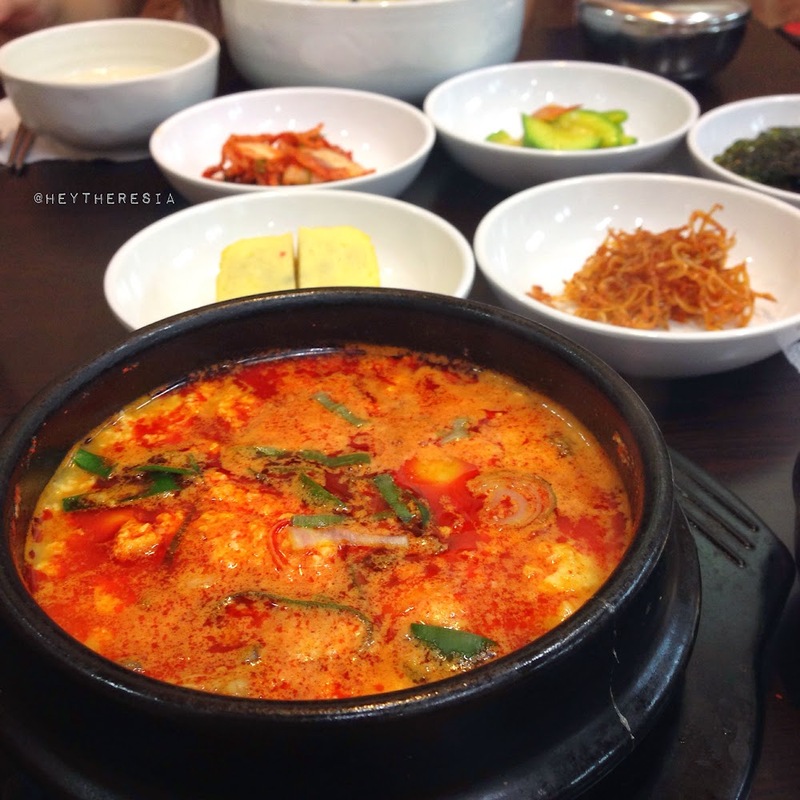 Sundubu (soft tofu stew) is one of my favorite korean dish. Why Jaedong Sundubu? This place is always crowded by locals, mostly workers around that area. 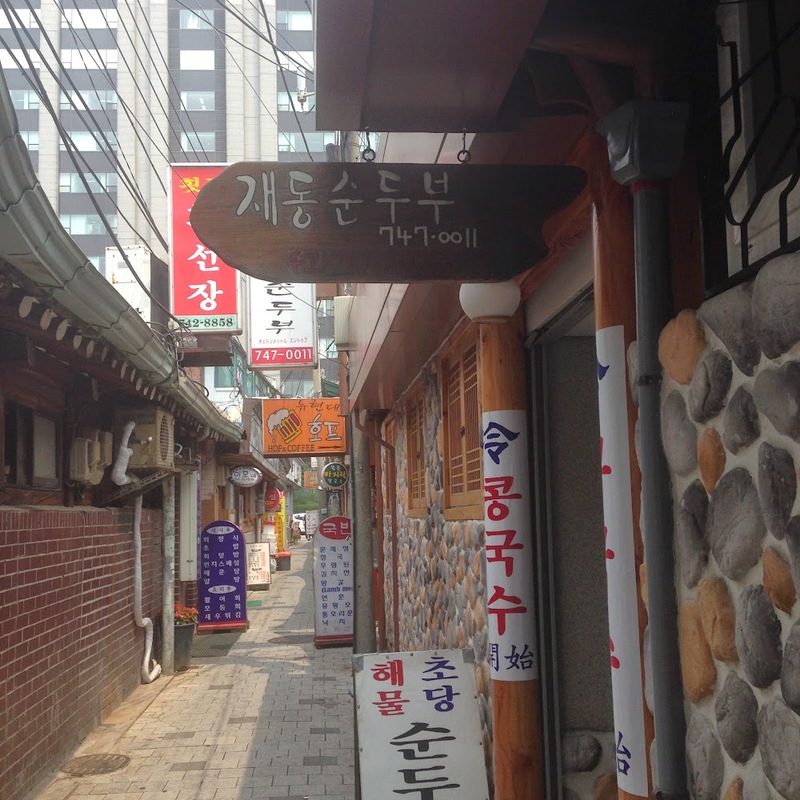 When I was there, no tourist at all and no English menu, all written in hangul. I can read a little hangul so I didn't find any difficulty when ordering. They didn't have much option, just order for the sundubu and bibimbap. The sundubu here was unlike any other sundubu, the tofu was not too soft like in common. It's like crumbled tofu. They said the make their own tofu everyday. All ingredients are freshly prepared everyday for the dishes. Just like any other Korean restaurant when you order a dish they will give you free banchan (side dishes). 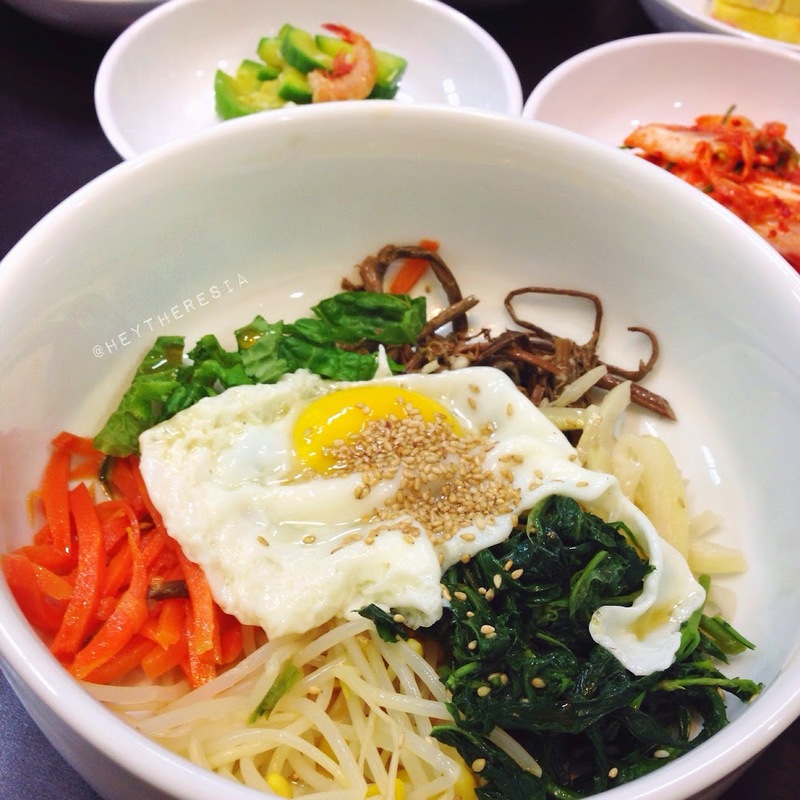 That day I got roasted seaweed, anchovies, gyeranmari (rolled egg), kimchi, and seasoned squash. 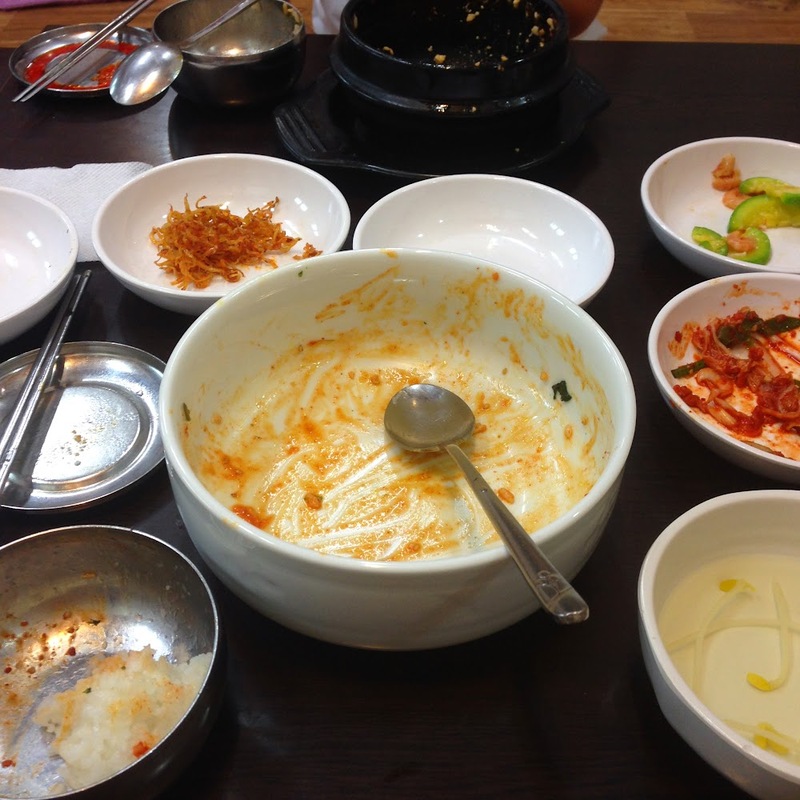 What I like from Korean restaurant is because of free banchan and you can refill for free. 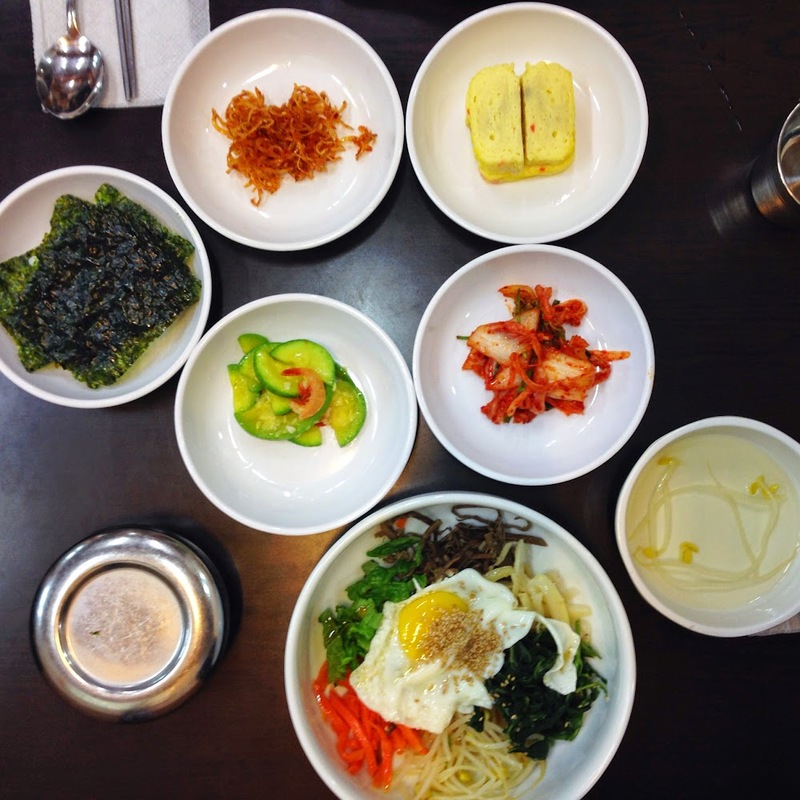 I like their bibimbap better than sundubu, though both were very tasty. Soft bean curd, comforting soup, best to be eaten with rice. Directions: Anguk Station (Line 3) exit 2. Walk straight until you see the sign for Buckon-ro 2-gil, turn right. 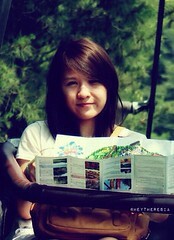 Walk for few meters, the place will be on your right.